Alie Mihuta is development specialist for the SHRM Foundation. In addition to attending sessions and presentations, networking, and perusing the exposition hall, conference attendees at #SHRM18 in Chicago had the opportunity to participate in the conference service project. Thank You for Stepping With Us at #SHRM18! The SHRM Foundation would like to extend a huge thank you to all of the #SHRM18 attendees who participated in the 3rd Annual Step Challenge, powered by Fitbit Health Solutions. It’s not too late! Register for the 3rd Annual Step Challenge and make your $10 suggested registration donation! We’re less than a month away from #SHRM18. Can you believe it? With all that you have going on in preparation for the Annual Conference & Exposition this year, make sure signing up for the Step Challenge is crossed off your list early! As a reminder, registration for the 3rd Annual Step Challenge, powered by Fitbit Health Solutions, at #SHRM18 is officially open! Yesterday, we gave you your first Team Captain lowdown, to help you select which team you would like to step with and learn more about the competition! Here is your second Team Captain lowdown. Choose your team wisely … ! Registration for the 3rd Annual Step Challenge, powered by Fitbit Health Solutions, at #SHRM18 officially opened yesterday, May 8. As you complete your registration process and select your Step Challenge team, we will be sharing more about the team captains to help you decide which team to join! Here is your first team captain lowdown. 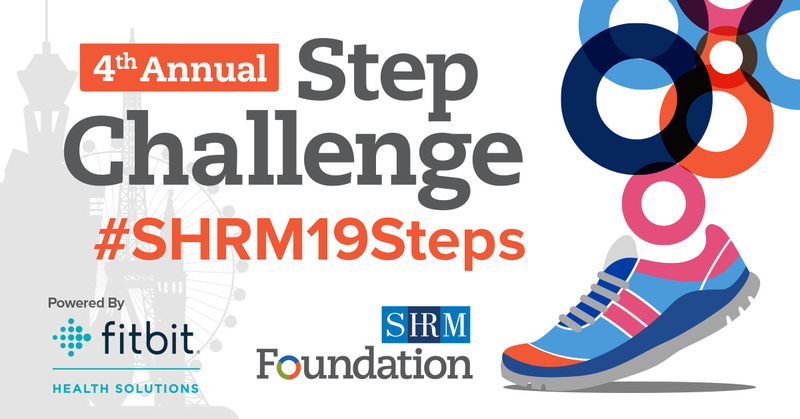 The SHRM Foundation’s 3rd Annual Step Challenge: Registration Now Open! Accept the Challenge: Register Now!